Obviously the word hasn’t really gotten out yet about the methods and applications of applied behavior analysis. So it shouldn’t be any surprise that even people who might have heard about it don’t really know a lot about it. Thanks to some rough early years and some ethically questionable offshoots that imprinted pretty ugly impressions on the public consciousness, applied behavior analysts often find themselves fighting something of an uphill battle for acceptance in the medical community. Much of this difficulty is rooted in myths about what applied behavior analysis is, how it’s practiced, and what it’s good for. Knowing what these myths are and how to answer them is a good way to start correcting folks who think American Birding Association, American Bar Association, American Basketball Association or any of the other ABAs out there that have nothing to do with a thoughtful therapeutic approach to dealing with behavior issues. Here are the top five myths people have about applied behavior analysis. Thankfully, this myth is becoming less and less pervasive all the time, but it is still prominent in popular culture. But 40 years of rock-solid experimental evidence and testing has shown that ABA is a scientifically proven treatment method for behavioral conditions. The very nature of ABA, which requires constant testing and evaluation in the most pragmatic ways, helps reinforce this fact. Every applied behavior analyst is rigorously trained in experimental design and in the methods of establishing valid results in treatment. This is a great aspect of ABA to point out to people, both to help establish its bona fides and to educate them about how the work is done. Of course, after you have gone through several rigorous years of schooling and jumped through all the testing and practice hoops to get your license as an ABA or AABA, this myth is sure to grate on your nerves. But a calm recitation of the facts is the best defense. The truth is that the Behavior Analyst Certification Board (BACB) has established stringent qualifications for AABAs, RBTs, and ABAs, and these qualifications have been adopted by most states as part of official licensing standards. Getting a BCBA isn’t trivial. It requires a master’s degree or higher and more than 1,000 hours of practical, supervised experience as well as passing a comprehensive exam. Those facts should put to rest any question of whether or not ABAs are professionally qualified. Because people have only a vague idea what applied behavior analysts do, it’s pretty easy for them to imagine that they all do the same things. But ABA has hundreds of different treatment approaches and combinations of systems that fall under its canopy. Some ABA’s specialize in discrete trial training, while other focus on early intensive behavioral intervention. There are many schools of thought active and in practice in the ABA world and more treatment methods being developed all the time. An applied behavior analyst isn’t a commodity, but rather a specialist with unique strengths. You can think of this as an off-shoot of the previous myth, but in some ways it’s more widespread and more insidious. 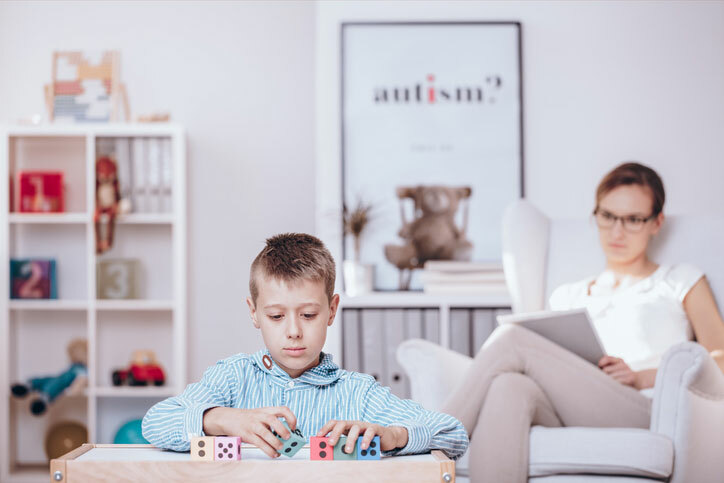 It’s true that ABA is one of the only scientifically proven treatments for autism, and that the explosion of autism diagnoses around the world have created an enormous demand for applied behavior analysts. The BACB estimates that almost half of all ABA positions are dedicated to working with patients with autism spectrum disorder. ABAs also work outside the traditional spectrum of healthcare, in fields such as sports and athletic training, penology, and animal training. Recently, applied behavior analysis has been caught up in controversy once again as detractors have targeted it as an inappropriate and unethical method of treatment for ASD. Some go so far as to label it as child abuse, or to call it a form of conversion therapy, the widely-reviled practice of attempting to “convert” homosexuals to normative heterosexual behavior. In fact, ABA has gotten caught up in the larger question of whether or not autism is a condition that falls within acceptable and normal ranges of human behavior. Many autism rights advocates have begun to suggest that, as with sexuality or gender, autism is simply a part of who they are. To attempt to alter the resulting behaviors, then, is to attempt to alter their personalities and individuality against their will. That may be an argument that belongs well outside the practice of ABA. Behavioral correction and social norms didn’t start with ABA and although it offers new and effective techniques for enforcing them, the decision to apply it or not remains largely in the hands of responsible individuals. Although there can be abuses and missteps in the application of any therapeutic technique, there’s no indication that ABA falls outside the normal ranges we tolerate for any medical practice.